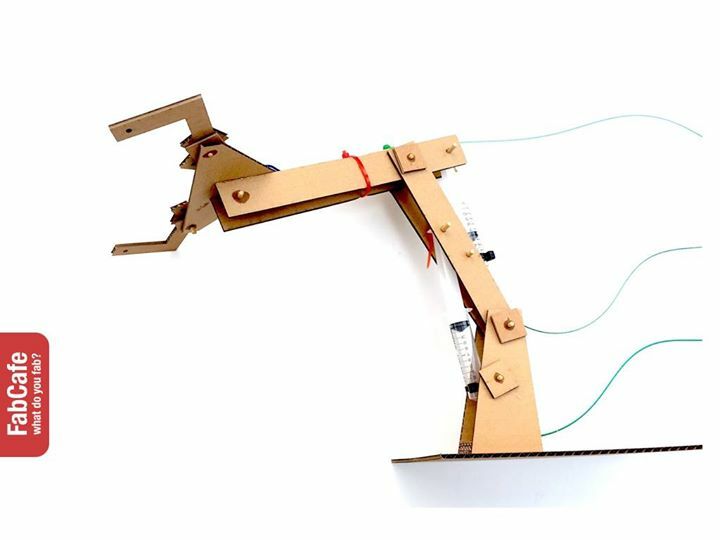 Build your own robotic arms powered by hydraulics, and create art works using these lasercut cardboard robot arms. What makes a robot and what can be considered art? Can a machine have a creative mind, or an intelligent arm? Your hydraulic mechanical arm is made of laser cut wood, and an easy-to-build hydraulic system of syringes and tubes. You will get to bring home your robotic arm at the end of the workhop. This workshop is designed to be kids and beginner friendly. Non-beginners and non-kids are more than welcome. Most of the materials in the workshop are designed and created by us with the help of our friends. 100% of our shipping are insured and made with Fedex, TNT or DHL. You'll receive a shipping tracker for every purchase.